It’s been a while! Sorry about that. 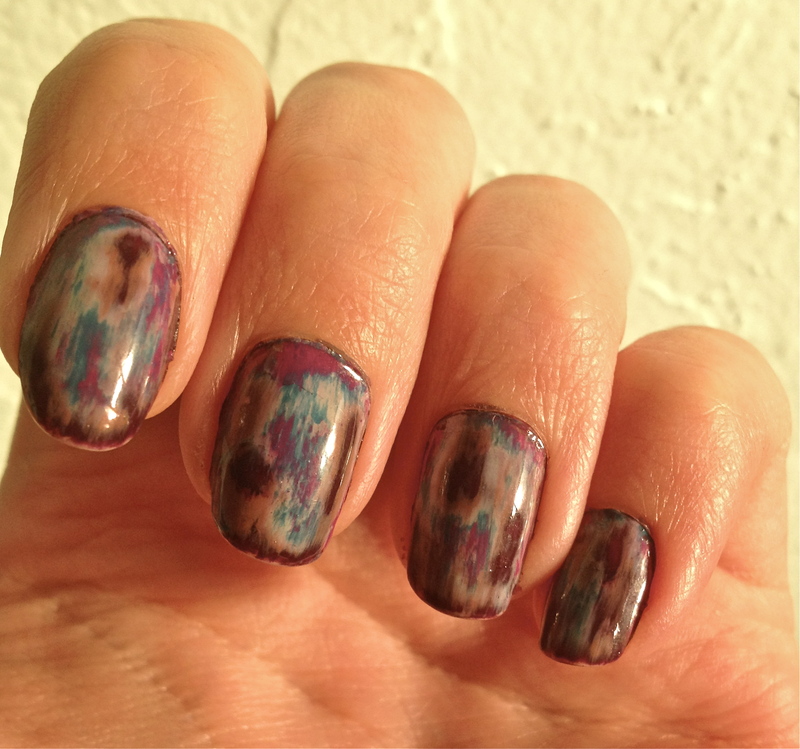 Today, I present you with my attempt at an acid wash, also known as the grunge effect, manicure. 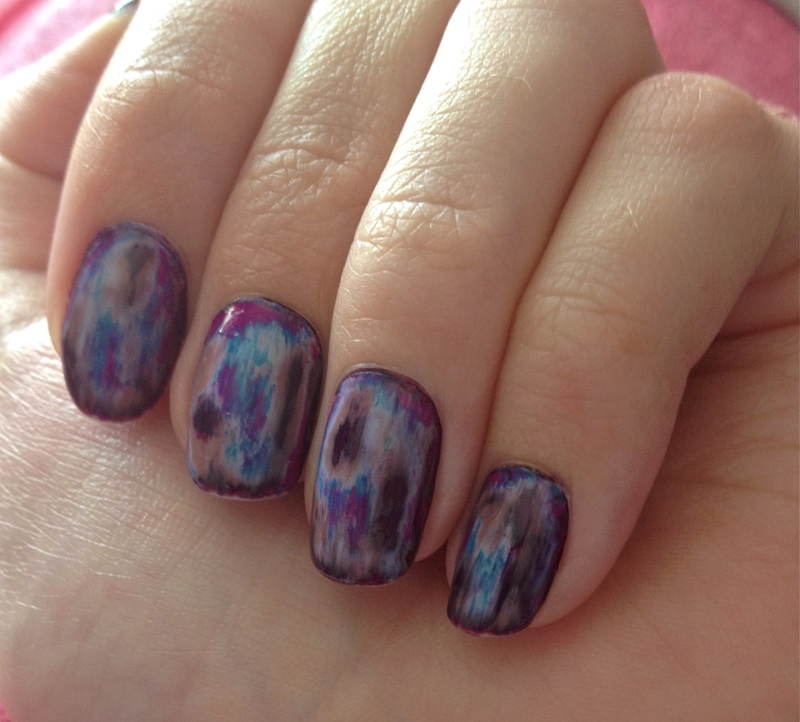 This trend has been on my mind since NailsAdored made a tutorial on March. Two weeks ago, I tried it out for my self and I am so happy with the result! 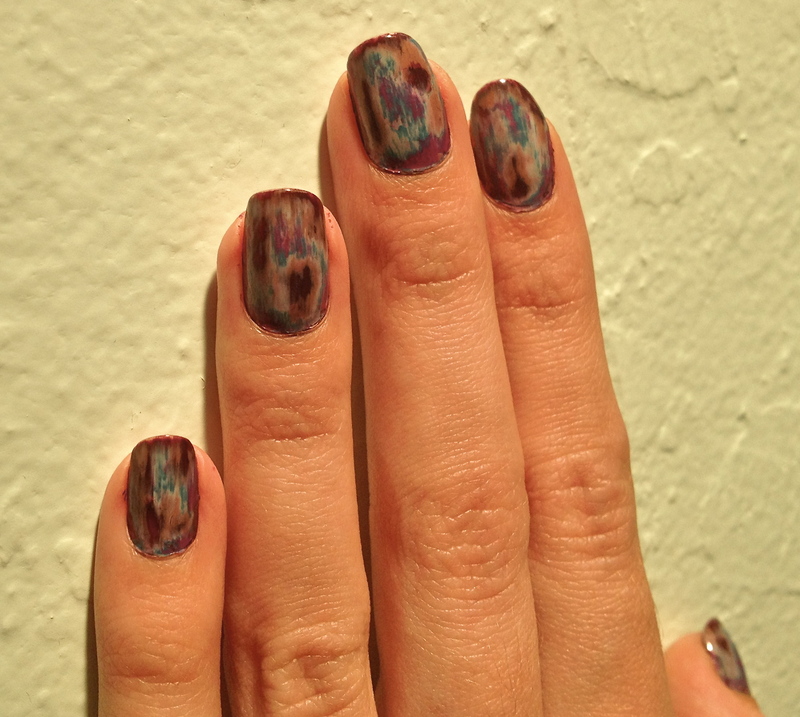 For my base, I used Sally Hansen’s Plum Luck. 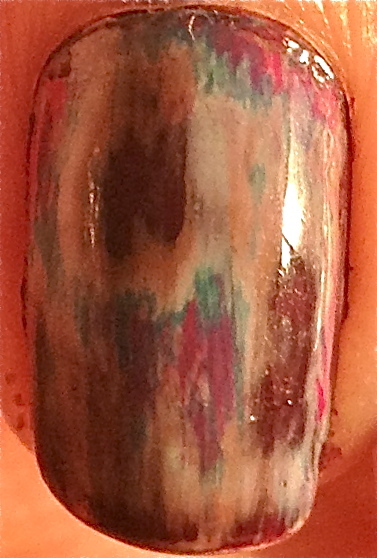 I then layered the following colors in order to prepare for the grunge effect. This lighting makes the polish seem a bit more brown-tinted than the overall look actually was. But I still love the effect! I was a little scared a couple times while rubbing off the layers, thinking I had gone all the way down to my bare nail, but it ended up just being the layer of DMU. And here we have more accurate lighting. You can see the wear at the tips, but this is after a couple days of heavy wear already. 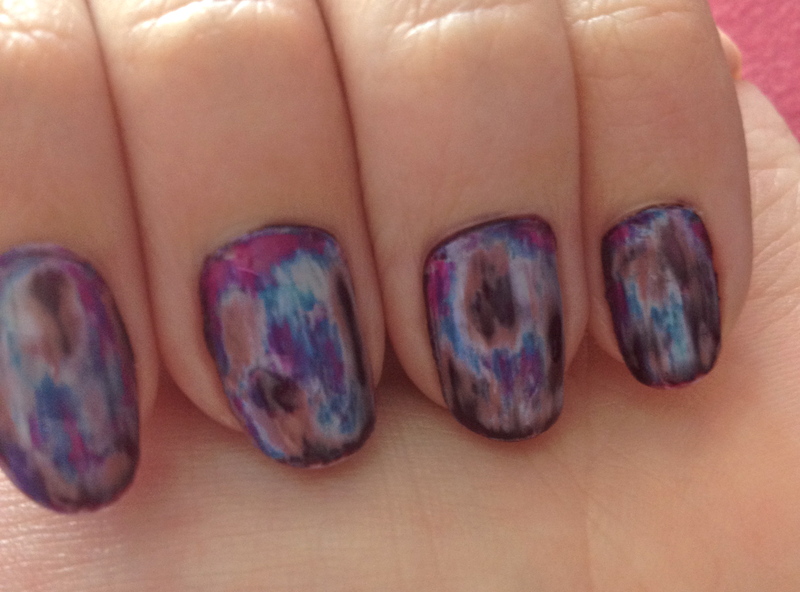 Anyway, I hope you enjoyed another look at the acid wash or grunge effect. I definitely encourage you artsy types to try it out. It took quite a bit of time but was so much fun!